All TROPIC PALMS PL 1 IN PB 2 homes currently listed for sale in Delray Beach as of 04/21/2019 are shown below. You can change the search criteria at any time by pressing the 'Change Search' button below. "BEAUTIFUL 4/3 FULLY RENOVATED IN 2019. NO HOA.THIS HOME FEATURES AN OPEN SPLIT FLOOR PLAN WITH VAULTED CEILING, CROWN MOLDING, AND GORGEOUS TILE THROUGHOUT HUGE LIVING AREA. LARGE NEW KITCHEN, SOFT CLOSING DOORS & DRAWERS WITH GRANITE COUNTER-TOP, STAINLESS STEEL FRENCH DOOR REFRIGERATOR, CENTER ISLAND STOVE WITH STAINLESS STEEL RANGE HOOD. MASTER BEDROOM EN SUITE HAS WALK-IN CLOSET PLUS ADDITIONAL ONE, LUXURIOUS BATHROOM WITH DUAL GRATIN VANITIES ALL SOFT CLOSING. SEPARATE GUEST ROOM, WITH CLOSET AND BATHROOM. ALL NEW BATHROOMS, CEILINGS AND FLOORS TROUGH ALL HOUSE. FRONT LOAD DRYER AND WASHER. 2 CAR GARAGE WITH ADDITIONAL 6 CARS PARKING SPACE. STONING LANDSCAPING WITH MANGO'S, BANANA, COCONUTS AND AVOCADO TREES. 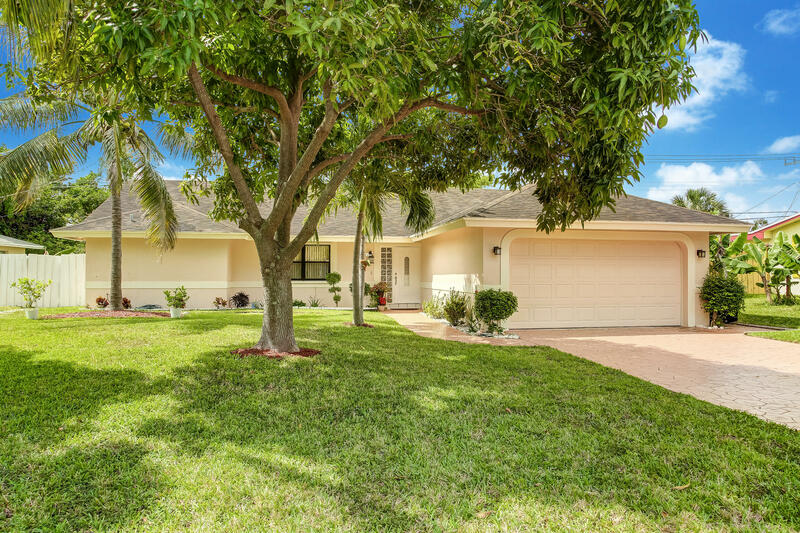 LOCATED CLOSE TO THE BEACH ATLANTIC AVE. AND UNDER BOCA RATON HIGH SCHOOL"